On 19th January in Bishkek, with assistance of Eurasian Creative Guild1, the creative meeting with Elena Bezrukova was held, who is a member of the regional advisory board of the Eurasian Creative Guild1, the creator and the director of eponymous center2, the candidate of psychological sciences, PhD, the business coach of the highest category, the practicing psychologist and the artist-grafelvist. Also, there were liverymen and professional cast of the State Russian drama theater of Ch. Aitmatov among the invited guests. The first part was devoted to Elena Arkadyevna’s creativity. The catalog of literary miniatures of pictures of artists named “Creative Commonwealth” and the calendar in the style of projective graphics for 2019 was presented. In addition, the Guild presented their activities especially for the gathered guests who did not know about it earlier. The second part of the action passed as a training performance. This training performance is created by the author’s technique of E.A. Bezrukova which was carried out for the first time ever. It was organized in the game format, and all of the guests took part in the action, including, actors of the theater who participated in it. The training turned out emotional and interesting due to such players. There were also some guests who suggested to continue further this initiative, to develop cultural ties between Kazakhstan and Kyrgyzstan, and stated great interest to activities of the Eurasian Creative Guild. To conclude, it can be said that the main mission of guild – an association of creative people from different fields of activity was fully performed on the one platform. 1The Eurasian Creative Guild (London) is a public non-profit organisation, a new meeting place for creative talents. As an actual and virtual association, the Guild generates a framework within which creative people from across the board can come together and discuss their work. Indeed, the Guild has already enlisted dozens of significant cultural figures from across the globe due to its proactive support for writers, musicians, illustrators, graphic designers, sculptors and poets along with anyone who considers themselves to be creative and is seeking promotion of their work around the globe and mutually beneficial cooperation. Today the Eurasian Creative Guild is an international non-profit organization with headquarters in London, that is opened for all like-minded people, inviting to actual participation in the activity and occasions in a role that everybody determines to himself: as a member of Guild, in a role of participant of occasions or as a sponsor of events and projects. Overall, the Guilds mission is to ensure real dialogue and genuine interaction between designated representatives from all sectors of the creative (intellectual) elite, public and governmental organizations, as well as the business community. Thereby constructing, as this does, a mutually supportive forum for all member-creatives. 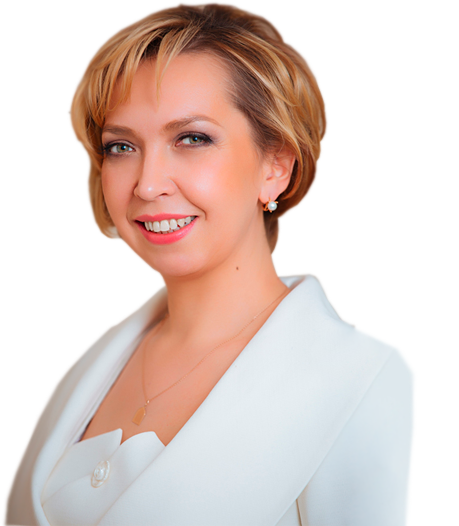 2Elena Bezrukova’s Center (training and consulting, School of Restaurant and hotel business, School of management and sales, School of personal development) exists 12 years, during this time, the center let out more than 6000 graduates through the whole country. There were trained more than 600 heads of the enterprises of a different level. In the center, there are the author’s programs and courses allowing to achieve the objectives and desirable result to our graduates.